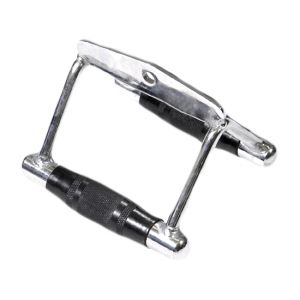 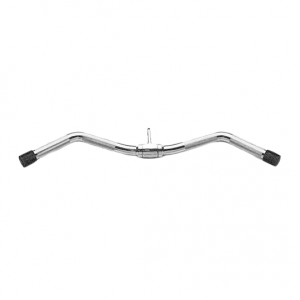 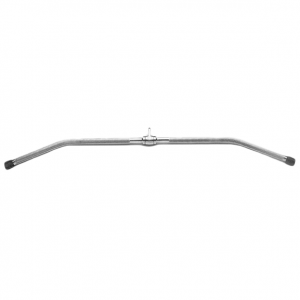 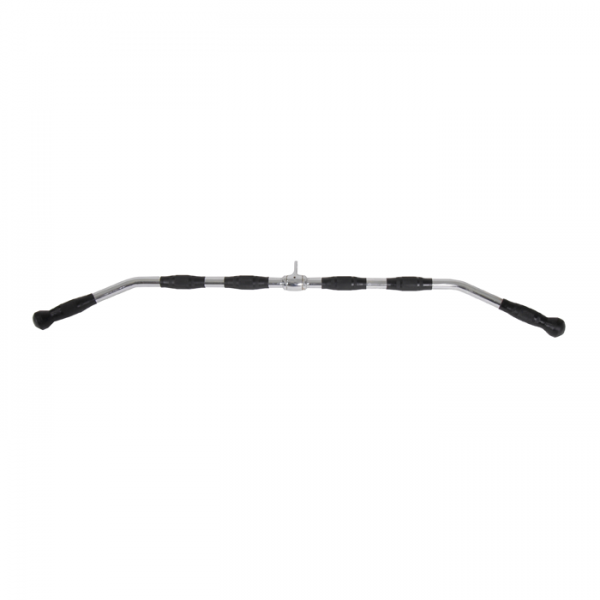 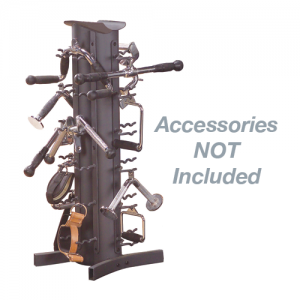 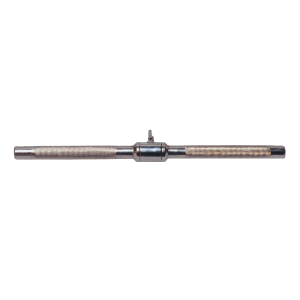 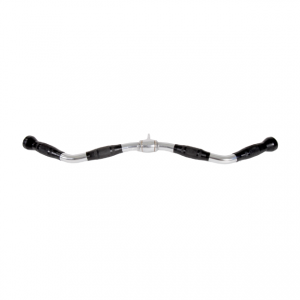 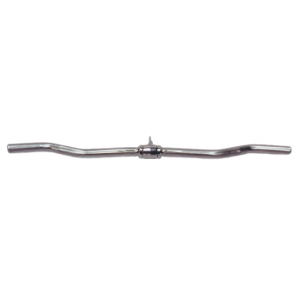 This 48” deluxe lat bar with forged swivel and rubber grips is uniquely designed at a slightly steeper angle for lateral stability and extra long stretch. 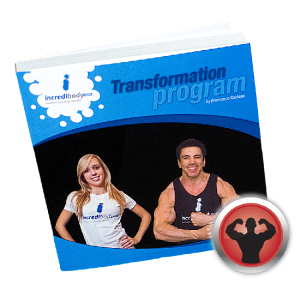 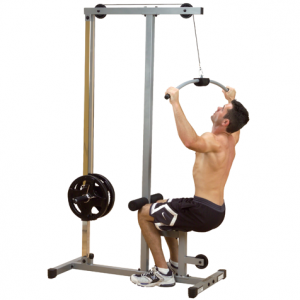 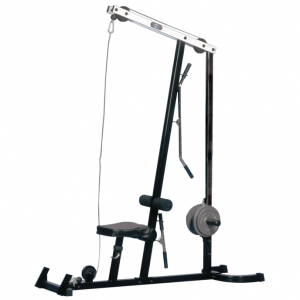 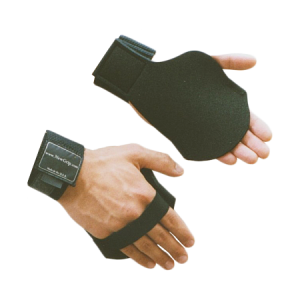 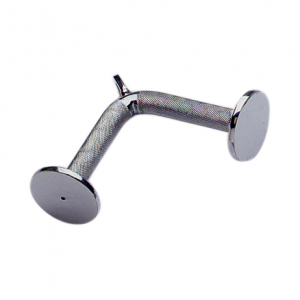 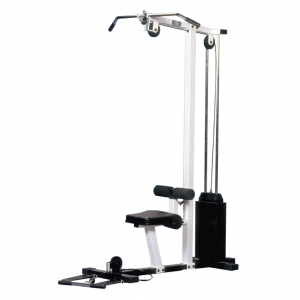 For complete development of your lats, shoulders and upper arms. 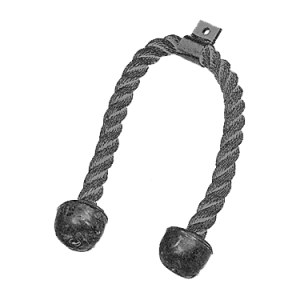 End caps covered with heavy duty caps for extra protection.